Given our industrial sewing capabilities, we can produce a variety of specialty products ranging from high temperature Velcro wraps, high temperature sleeves, custom tadpole tapes accordion bellows to high temperature components. 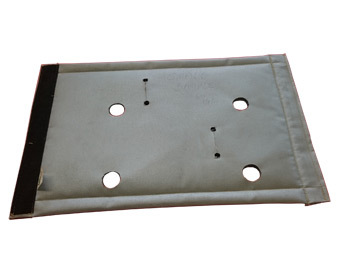 Most bellows and insulated covers are constructed of neoprene coated nylon, silicone coated fiberglass, vinyl coated nylon, and other high performance fabric. All products are custom and designed to exact customer specifications including ASTM and Mil-Spec standards. 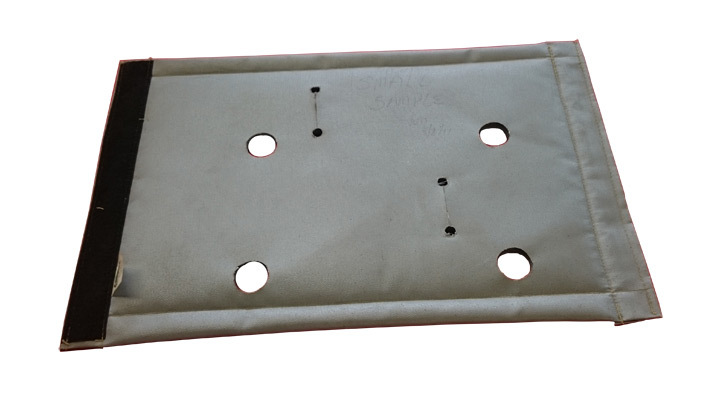 Bellows may be rectangular, square, or round with grommets, zippers, snap strips, or ties and range in size from 0.75" in inner diameter to 71" in outer diameter. High temperature products include furnace curtains, pads and seals. Curtains may be made from a combination of silicone and mesh, and with windows if desired. Ceramic insulation, wire mesh, Kevlar, fiberglass, and silica fabric are all common materials used in the production of high temperature components. Products can be produced in any volume from a single piece to high volumes, with an average lead time of 5 to 7 days. Specific lead times are evaluated on job by job basis and expedited service is available as needed to accommodate rush orders. For additional information about our specialty products, see the table below, or contact us directly.